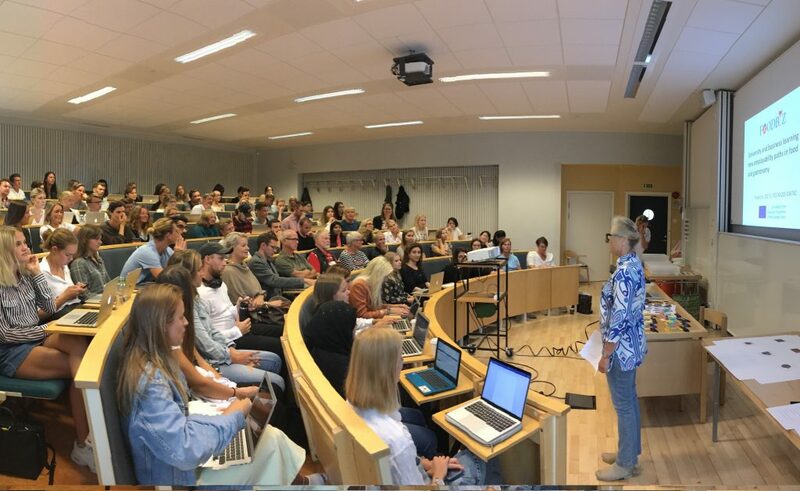 On September 4th 2018, around 70 students from Marketing in the Service Economy course, Svinesundskommittén, the industry, municipalities and other stakeholders met at the School of Business, Economics and Law in Gothenburg to attend the experiential workshop on Scary Seafood. By means of a co-creational approach many ideas, strategies and potential innovations emerged. 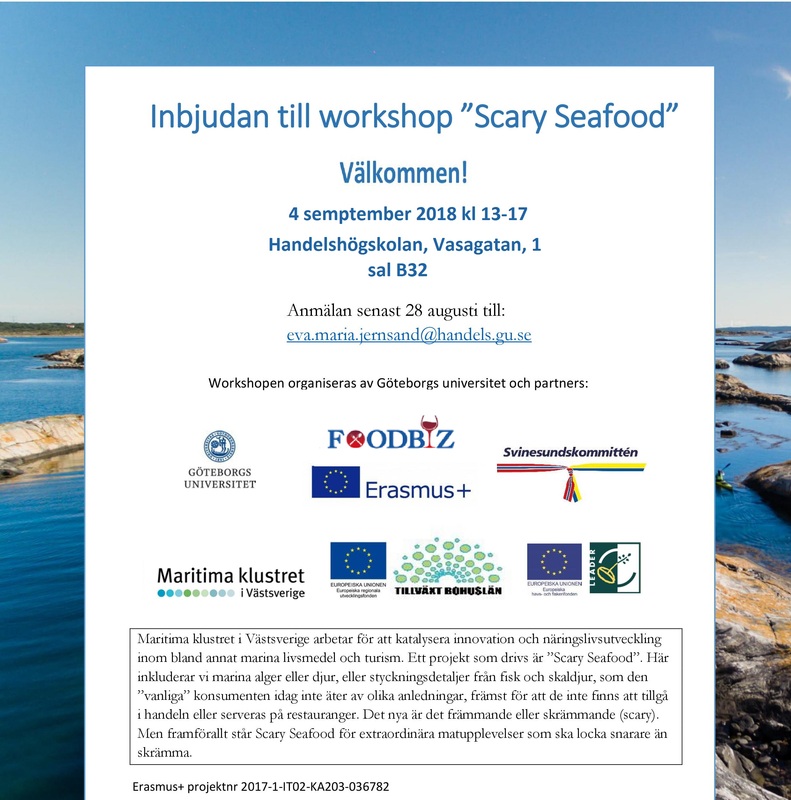 The experiential workshop was organized as part of #FOODbiz “University and business learning for new employability paths in food and gastronomy”, together with the Scary Seafood project – providing the scary seafood species – and the Maritime development in Bohuslän project. 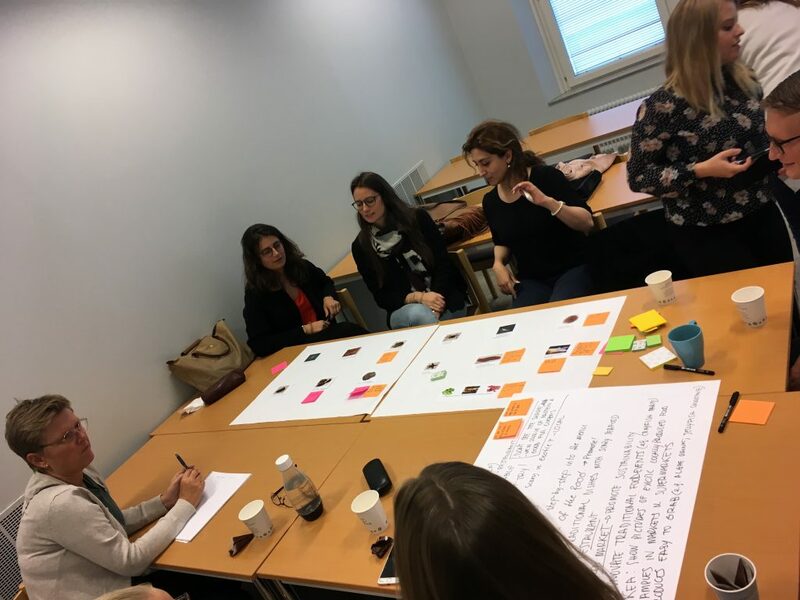 The workshop ensured cross-fertilisation among different research projects involving the School of Business, Economics and Law. 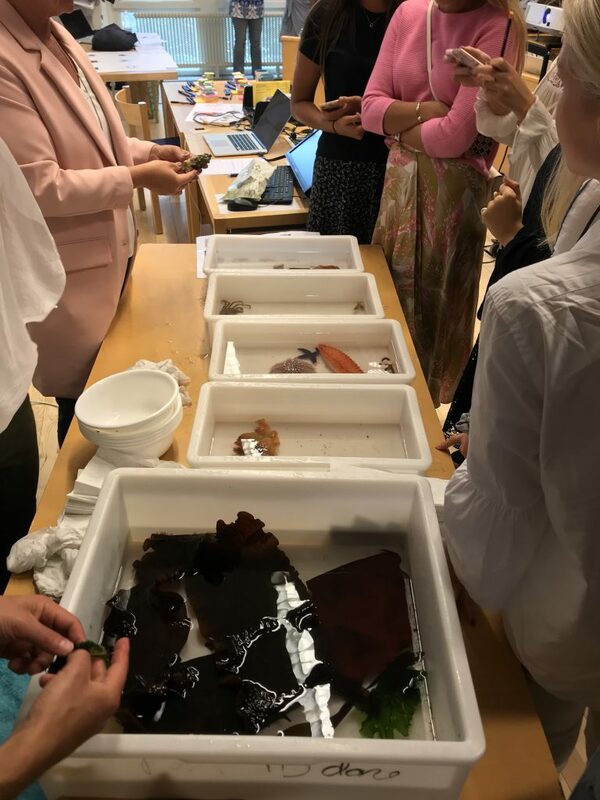 The experiential and transdisciplinary approach and engagement of multiple stakeholders made the workshop an innovative and fun learning experience.